Ready for some very silly fun? 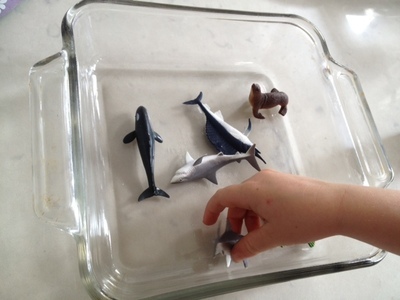 This sea creature jelly hunt is easy to set up. 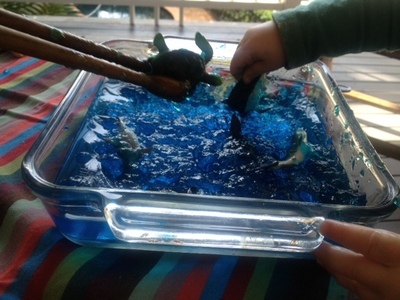 My kids loved this activity - it was my 18-month old's favourite messy play activity so far. 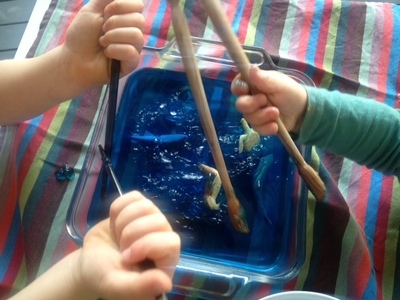 Younger kids can practise fine motor skills fishing out the sea creatures with tongs, whilst older kids can have a go with chopsticks. Make up the jelly as per the instructions on the packet. 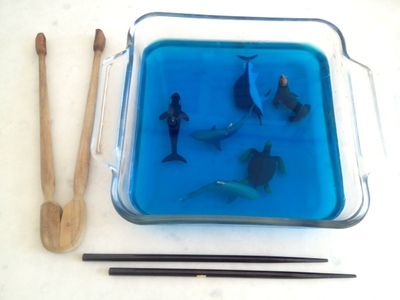 Wash the plastic sea creatures first then arrange them in the clear container. Pour the jelly into the container. Leave to set in a fridge for at least 3 hours. 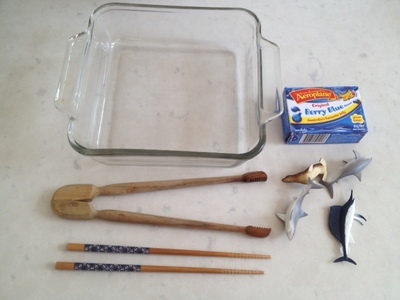 Set up a table with kitchen tongs and chop sticks. 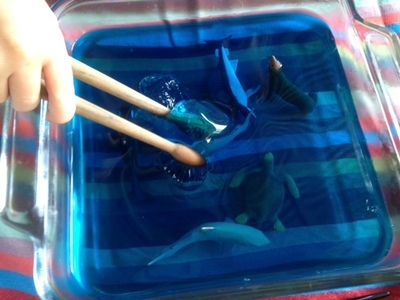 Let the kids fish out the sea creatures from the jelly with tongs or chop sticks and transfer them to the spare tub. Kids could eat a bit of the jelly at this stage before it gets handled further! 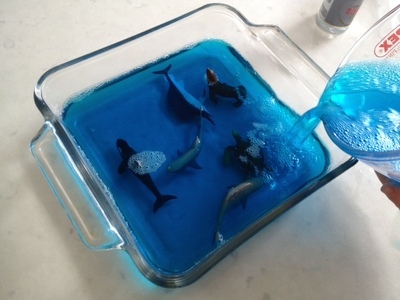 Put the sea creatures back into the jelly ocean and keep playing. 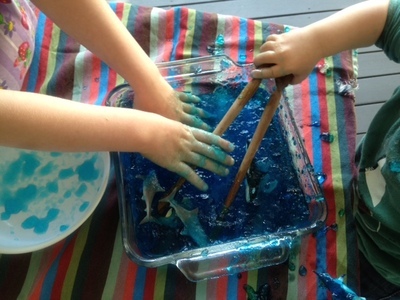 Get stuck in with hands too for some really messy play! You could also try plastic dinosaurs or bugs in green jelly, or bats and skeletons in black or orange jelly for Halloween. 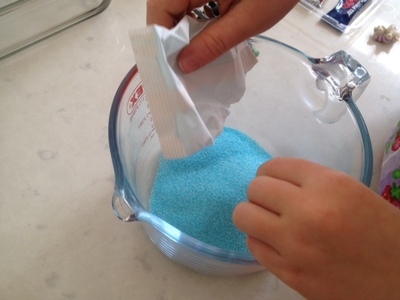 Make up a big batch for a fun birthday party activity!